Join us Thursday, March 27, from 5:00 to 8:00 p.m. when Taso from River Horse Wine Imports stops by to pour tastes of some new arrivals from the Greek Islands: Koutsogiorgakis Winery Kamares and SantoWines Vinsanto. These new arrivals from the Greek islands of Evia and Santorini offer a glimpse of the variety and quality of Greek wines produced today. Koutsogiorgakis might be something of a mouthful, but don’t worry, we won’t grade your pronunciation. This white from the northern side of the island of Evia (Greece’s second largest island) is a blend of two grapes: Assyrtiko, as found in the great white wines from Santorini, and Asprouda. This is a delicious, versatile, dry white that will be in heavy rotation as the days begin to get longer and warmer. 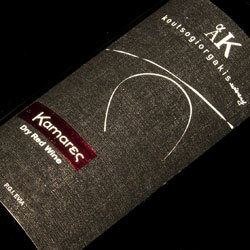 Made from a blend of the rare indigenous Vradiano and smaller amounts of Cabernet Sauvignon and Merlot, which are included to add a bit more structure to complement the fruit of the Vradiano, the Kamares Red shows red fruits with hints of spice and smoke derived from its barrel aging. 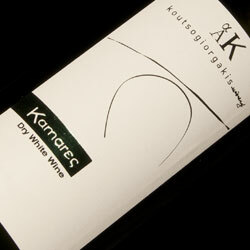 Both this and the Kamares White are made in extremely small quantities – both fewer than 300 cases! – at a small, family-owned winery. 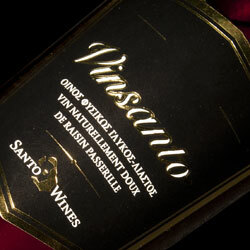 Vinsanto. 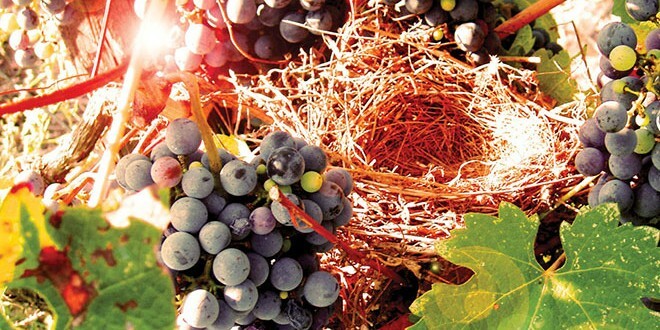 Though most associate the name with Italy, the production of these notably concentrated dessert wines made from dried grapes stretches back at least as far into Santorini’s history. A blend of Assyrtiko and Aidani – both grapes indigenous to Santorini – the grapes are then dried in the sun before fermentation, concentrating their sugars so much that a significant amount inevitably remains after fermentation is complete. The wine is then aged for many years in oak barrels before bottling, a process which adds depth and spice notes to complement the sweetness. Next: French Wines Tasting: Domaine Catherine & Didier Tripoz Macon Charnay, Pascal Pibaleau La Perlette and Domaine de Terre Georges Et Cetera.